The Lagos State Police Command has apprehended 11 armed robbery suspects including five workers of Guaranty Trust Bank. One of the workers, a senior marketing executive of the bank’s branch in Gbagada, is currently being interrogated by detectives at the state’s Special Anti-Robbery Squad. According to reports made available to PUNCH Metro, the senior marketing executive allegedly conspired with two security personnel of the bank and two other staff to perpetrate the robbery of a customer who was to deposit some money running into millions of naira. The bank workers were said to have invited one Sadiq, believed by the police to be a notorious armed robber in the state, who in turn invited six other members of his gang. The gang allegedly procured guns in Lagos and ordered for more from Edo State. The robbery was foiled when policemen through intelligence report got information of the planned robbery. 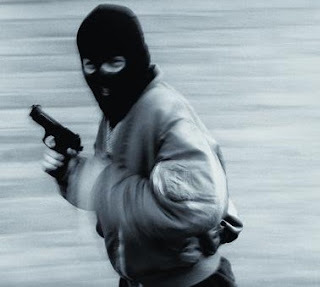 The policemen stormed the bank premises incognito on the day the robbery was to take place. It was learnt that one of the suspects had told the police that their weapons including two pistols were already concealed in the bank’s Computer Central Processing Unit with plans to use them on the day of the robbery. The robbers who pretended to be customers of the bank had dressed in suits while Sadiq wore a kaftan. But they did not know that plain-clothed policemen had cordoned off the area while some other policemen were in the banking hall. One of the suspects further confessed that the bank’s marketing executive gave them money to procure the arms and ammunition. The Police Public Relations Officer, Mr. Joseph Jaiyeoba, confirmed the arrest in a telephone interview with our correspondent on Wednesday. He, however, said further investigations were still ongoing with a view of ensuring that all those connected with the incident were arrested. Jaiyeoba said, “The employees of the bank that were arrested were actually four in number. They planned with the security guard who then recruited armed robbers for them. “The security guard’s job was to plant the guns inside the CPU of the computer so that when the armed robbers came in, they would be able to enter as normal customers. “The robbers planned to rob after closing hours when customers were no longer allowed access into the banking hall. The commander, MOPOL 2, was able to get wind of the plan and led his team to the bank.